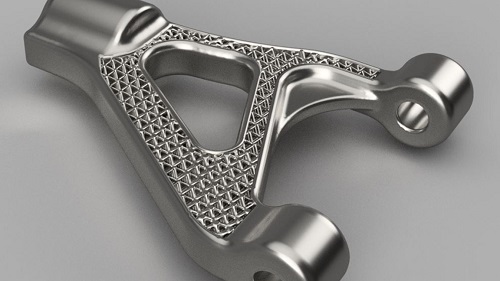 3D printing lattices: Find the best lattice generation tools! If you are using 3D printing, you may know that to get a resistant part, you have to choose the right material. But do you know that design also plays an important role? Choosing the right design for your 3D printed parts will offer you different advantages, and can improve the quality of your projects. We are going to discover how in this blog post, by focusing on lattice design. We will talk about the benefits of lattice structures, indeed, these structural features can improve the quality, and more specifically, the strength of your parts. We will share with you the best lattice generation tools, both for companies with and without a 3D printing production center. You will also see that our Fabpilot software could totally help you with that! 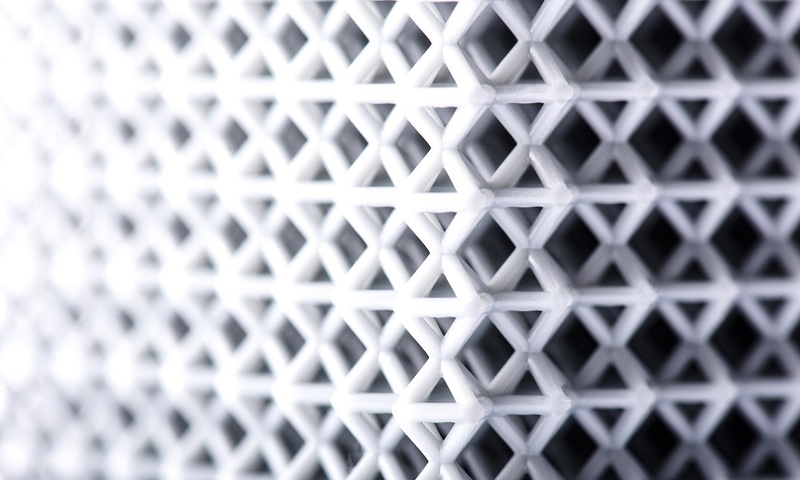 You can print lattices with any technology, such as Selective Laser Sintering or Direct Metal Laser Sintering. To get the best 3D printed part possible, don’t forget to check the design guidelines of the material that you want to use to manufacture your parts. There are many ways to optimize the design of your project, like with jigsaw-structures or voronoi patterns. Today, we are going to see the amazing benefits of lattices. Why should you use lattices? Structural optimization is clearly one of the most interesting aspects of lattices. 3D printing allows to manufacture complex designs, so it is totally possible to print complex lattices: these kind of designs are not necessarily doable with a traditional manufacture technique. An object built with lattices can be really resistant, more flexible or more stress resistant. You will be able to make the most of the power of a functional structure. Choosing the right 3D printing material will help you to reduce weight. But choosing to print with lattice structures will reduce it as well. Obviously, your 3D printed object will not be full of material or full of powder. The lattice structure will reduce weight, because the object will use less material. A part with lattices can weight only 20% of the weight of the original solid part. By reducing the amount of material that you need, you will get cheaper parts. Once again, your 3D printed part will not be full of materials, which means that it will reduce the costs! It is possible to print lattices for many diverses projects, with different materials, from plastic to metal. It is good to know if you need a strong part, but cheaper than usual. If you want more information about how to optimize your 3D printed parts thanks to lattice, check out our previous blog post. Autodesk Within is an efficient optimization software, it is actually perfect to work on your 3D models before sending them for the 3D printing process. It will optimize and improve the design and structure of your parts. This tool makes it possible to generate different types of internal lattices. It is also possible to take a look at the global strength of your part and to thicken it where it is needed. This engineering design software is known to be really functional, and it offers various design features. Autodesk Within allows to work on the flexibility and the robustness of your parts. This program will help you to light weight your models thanks to 3D lattice designs. 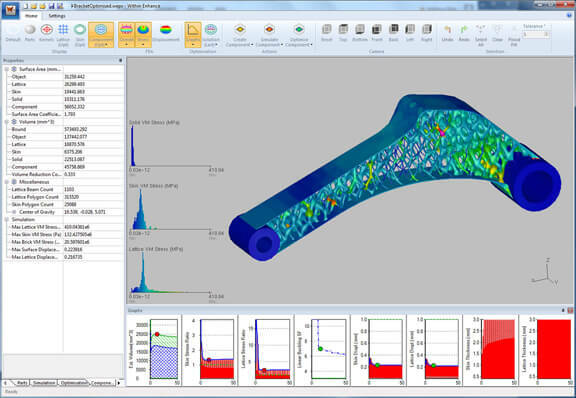 You will make the most of new design possibilities to optimize your parts thanks to nTopology. You will be able to generate, edit and implement lattices in your 3D model with this tool, using a parametric workflow and functional modeling. STL Lattice Generator is a MatLab program, allowing to generate lattice structures on your 3D model in order to 3D print it. This tool can generate different lattices directly in the STL format. It will certainly help you to save a lot of time. Meshify is quite a convenient tool. It is a browser based program, allowing you to upload directly your geometry, generate a lattice structure, and then get an STL file of the result that you can print though a 3D printing service such as Sculpteo. Try out the automatic lattice generation offered by this program! Simpleware is a 3D software with many different options and one of them is the generation of internal lattice structures. If you are actually looking for a complete program, offering 2D and 3D view and good simulations for your manufacturing projects. 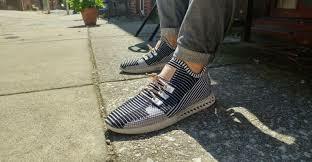 This software has been used by Footprint 3D to create soles with lattices! These footwear parts have their design optimized, an ergonomic support and a natural gain, thanks to the lattice structure. Are there other solutions to create lattices? Some 3D modeling software have features allowing to create internal lattice structures, but it will not necessarily generate 3D lattices automatically. But if you are quite experienced with 3D modeling, and if you don’t want to use different programs to create your project, programs such as the CAD software Creo may totally fit your needs. If you are working in a 3D printing factory, you should check Fabpilot, the software that we developed here, at Sculpteo. Fabpilot is a cloud-based software that will help you to manage your 3D printing production. You will be able to work on your project preparation, your production and your operations management with just one software! Among the diverse possibilities and features offered by Fabpilot for the project preparation, you can find a great lattice generator. This tool will allow you to generate lattices on your 3D printing projects, using the cloud, which means that you can actually generate lattices on your parts from any computer or tablet, without the need of having a very powerful computer. Get more information about Fabpilot’s features here and see how it could optimize your 3D printing workflow! How to print my 3D model with lattice structures? To print your 3D project with lattices and get a high quality result, we recommend you to use professional 3D printers through a 3D printing service instead of investing in one of these expensive 3D machines. If you are looking for additive manufacturers, you can choose an online 3D printing service. 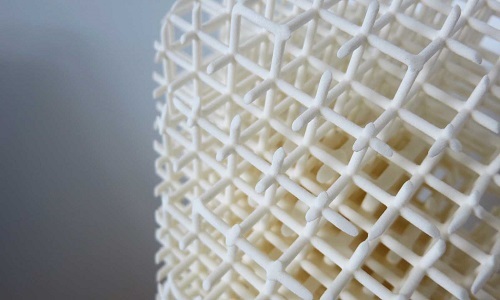 At Sculpteo, we print your parts with lattices and deliver you high quality products. We are offering a wide range of different 3D printing materials. From plastic and resin to metal 3D printing, make your choice! While uploading your 3D design on our site, you can get a solidity check in order to see if somes parts of your model are likely to break during the 3D printing process. If you are not used to lattice structures, this tool could really help you to get the best 3D object possible! Are you ready to 3D print with lattice structures to improve your projects? If you already have your 3D file, give our 3D printing service a try, and upload your design on our platform, we will take care of it! As you can see, many options are available if you are looking for a good tool to generate lattices for you 3D project. We hope that you learned a lot about lattices thanks to this article and that you are ready to choose one of these optimization software to generate lattices. If you want more tips and information to optimize your projects for 3D printing, don’t hesitate to subscribe to our weekly newsletter.